A cool place Eating & hang-out Destination with buddies! 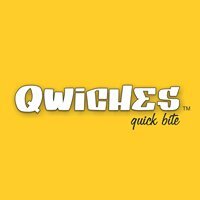 Qwiches is Ahmedabad Based QSR Food Joint with Minimal Menu Varieties and Price competitive with Infrastructure theme based Interior. Qwiches is a quick food bite junction . The concept lies behind for quick food with the theme based on fast food and more on for sandwiches and fast food . Giving a new dimension to fast food or we could say quick food with a 360 degree innovation.